Over 100 types of craft beer and many bands from Fuji Rock! A craft beer festival weekend with over 100 kinds of beer at Japans biggest ski resort. Also features lots of live music and DJs, snow monkey tour, free lessons, onsens and more! The Shiga Kogen Beer Festival, or Snow Monkey Beer Live as the event is known, is easily the biggest apres. ski event in Japan. The event features over 100 kinds of craft beer from all over Japan and the entry ticket includes a beer glass with five free beer tickets! The festival is also famous for the quality live music with many of the acts also performing at the massive Fuji Rock festival later in the year. 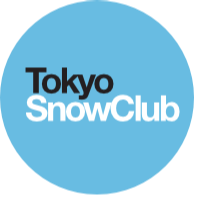 Combine this festival with skiing/boarding at Japans biggest resort, a visit to the snow monkeys, free lessons, onsens and you have yourself an unmissable weekend. Looking forward to it!